It has been an eventful day of searching, and you have been enjoying a target rich environment. You have that feeling you are getting close to something BIG, and the excitement is building. The only thing that could take you out of this "zone" of sorts is the batteries running out. Not to worry though, you are prepared for this because you bought the Battery Holder Classic. This holds 8 AA batteries that will have you back running in no time. - Battery Pack - Holds 8 AA batteries to successfully replace the original standard battery. 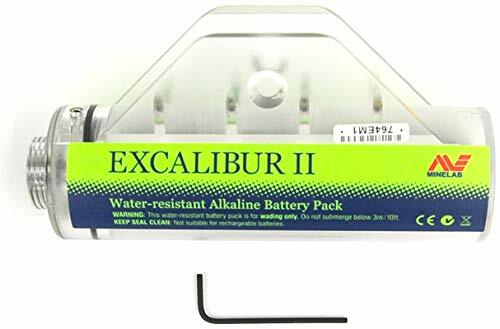 - Compatible with Minelab Excalibur - This battery back is designed to fit the Minelab Excalibur series metal detectors. - Seamless Transition - Quick and easy way to repower your Minelab detector while out in the field. If you have any questions about this product by Minelab, contact us by completing and submitting the form below. If you are looking for a specif part number, please include it with your message.